My yarn and crocheting addiction appears to be getting worse. 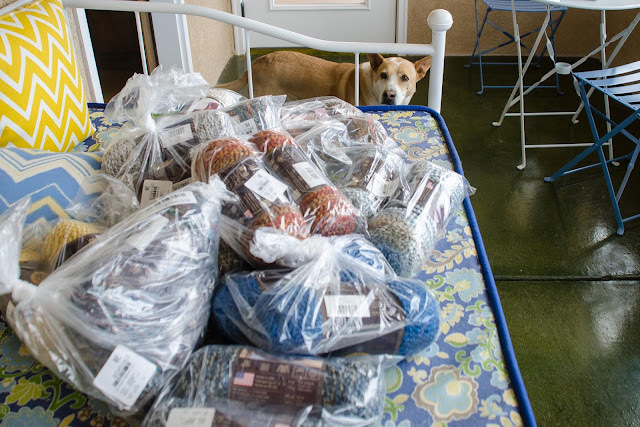 A new shipment of yarn has arrived. her demands to be let outside are now often answered with "hang on...just one more row." (and they're not paying me to say that, though maybe they should if I keep ordering it at this rate). ...and comes in 81 colors! 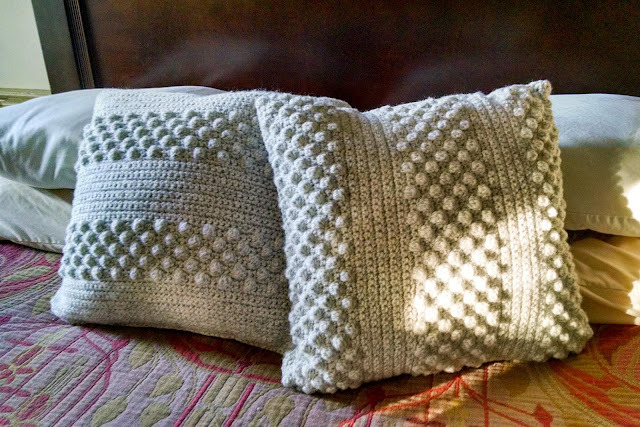 If these pillows are looking a little flat, it's because I've yet to stuff them. than to check a trunk on the plane. These two live at the new Morning Bray Farm in Virginia. Seeing my pillows in use makes me very happy. I sent this one home with Danni to Oregon. Looks like I may have to send her another if Roxy isn't willing to share. in warm weather without dying of heatstroke under a big pile of yarn. 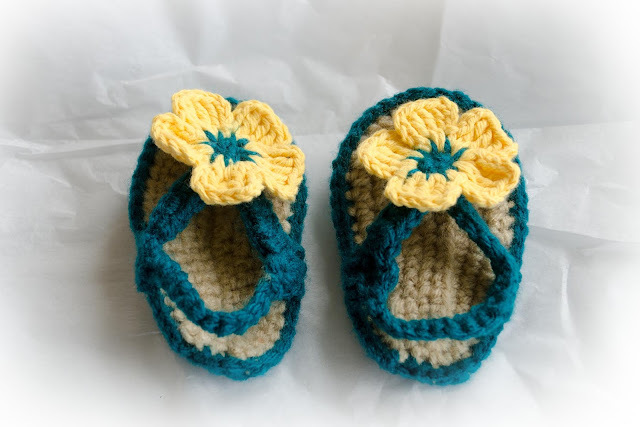 I did venture out of my pillow comfort zone to make this pair of baby flip-flops. 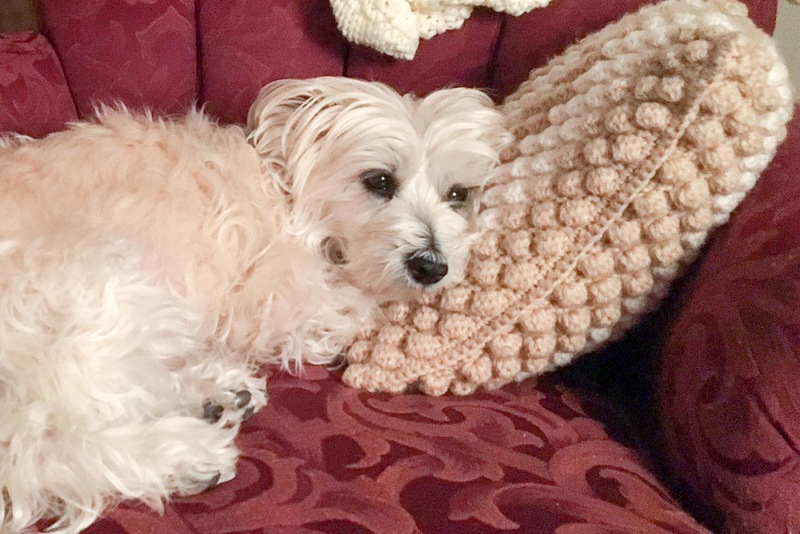 her parents left with – you guessed it – a pillow. I need to get serious about finding a practical way to distribute and/or sell these things. forcing them into the hands of anyone who dares to visit. Who wants to worry about all of that when I can just sit in my corner and crochet? Those flip-flops! Cutest ting in the world. Those are beautiful! What a great way to spend time. Wonderful creativity! you could consider it as your retirement project and it is good to start beforehand. you may consider piling up a certain number of them until then and then start your etsy shop. the baby flips-flops are a dream! love the glass of wine, by the way! you're tricky! So beautiful Carson ... I'm amazed with each picture of how awesome they are! Perhaps an Etsy shop with the profits donated to a good cause - donkey or burro related, of course! I bet that 2 year old boy will get plenty of bragging mileage out of his cow bone. Your pillows are beautiful! The flip-flops are so cute!! I love the pillows that went to Morning Bray Farm. If you ever decide to sell your products, let me know. There's a no-cash store in Albuquerque which helps people trying to get on their feet after domestic violence. They take donations of household goods and their "shoppers" are allowed to take what they need to get started. Mom's donated quite a bit to them this year. If you find a plethora of pillows taking over your home, perhaps you could donate them to help others start their homes. That is a fabulous idea. I'll connect with your mom and get the address. So Talented! Just throwing out the idea of Chicken sweaters after a couple of glasses of wine. I was hoping i could attach a pic i found. Not sure how to do it. But, they are funny. Oh the possibilities with your skills. Are you going to crochet fly masks? You could make them look like superheroes. I love those cute little flip flops. How did you ever think up those darlin' teeny flip flops? Biggest awwww of the week for me! Hahaha, I love the idea of crocheting fly masks -- then we can see Lucy & the boys model them! Blame it on Pinterest - I saw the pattern there and couldn't resist. 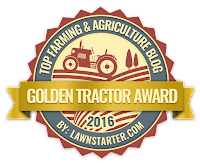 I agree with the others - skip the Etsy shop - instead let your blog followers order some! 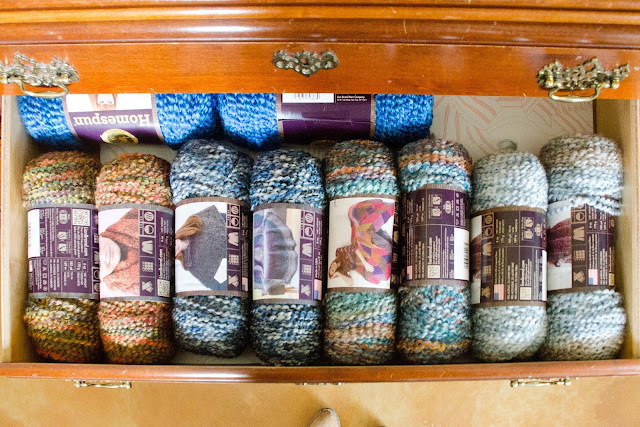 I love how you've used the dresser drawers for your yarn stash. I'm currently resting my feet on the HUGE tuperware bin that sits in my study. 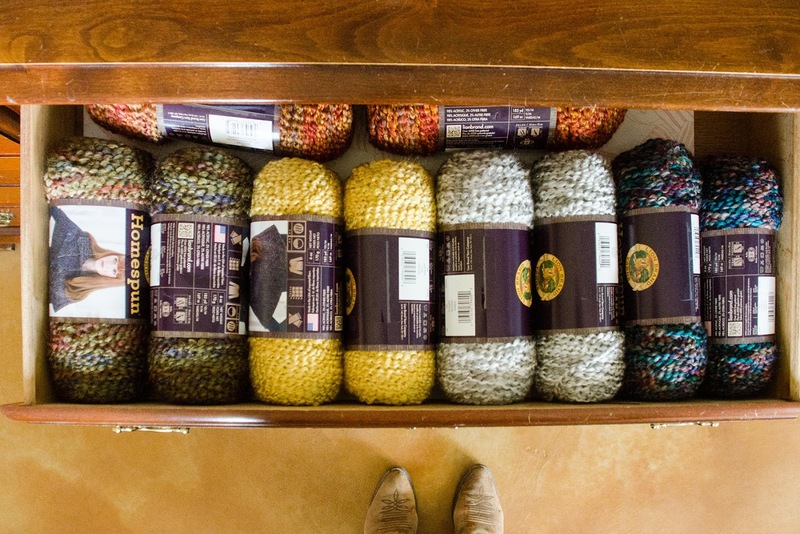 It is full of yarn. My mother was a real crafter. When she passed away ten years ago my sisters and I all decided to keep parts of her crafts stash. I came home with four of the biggest bins that I could find. I used one in my last decade of teaching for art classes. 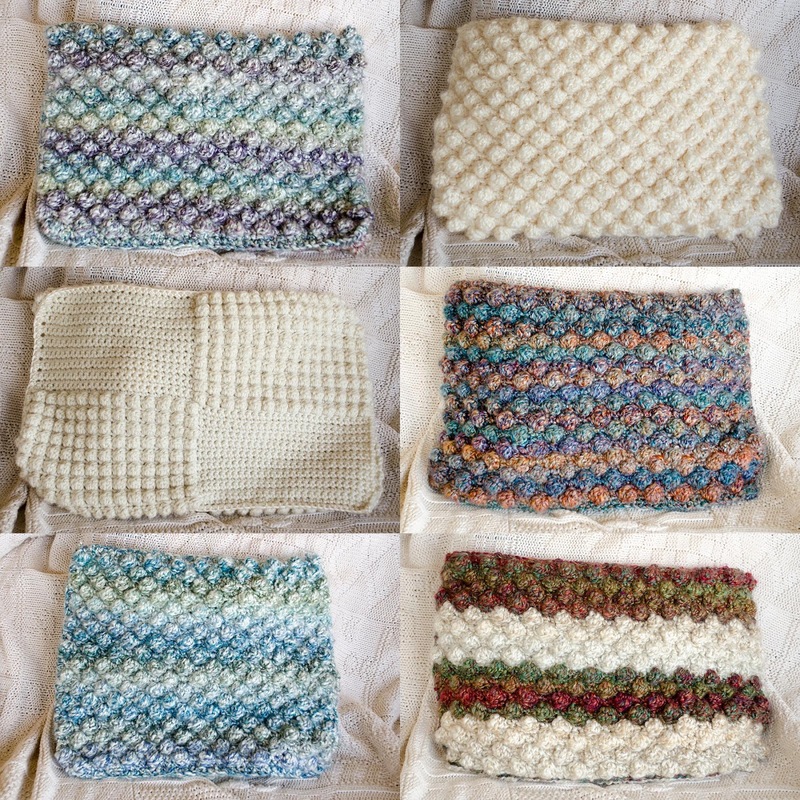 I gave another to my daughter and daughter-in-law for their knitting projects. And now I am happily working my way through the yarn making crocheted donkeys and a crocheted afghan for my sisters with our mom's wool. (Of course, I have discovered that having all of this wool means I have to buy more to get the perfect colours to match ... or the right amount to finish a pattern!) Stitch on! You could always start to work with smaller yarn...it would take more work to get the same surface area. Consequently there would be fewer pillows at the end of the day. Just a thought. I didn't know you were this talented!!! If you do sell the pillows please let me know. They are beautiful. Those flip flops are so stinking cute! You have mad skills! Oh my freakin' gosh.... I need those flip flops!! (Cept i don't have a baby to put them on)Too stinkin' cute! I'm still working on my first bobble stitch pillow. Thank you so much for sharing the instructions with me. It's coming along quite well! I like some of the variations you've used on yours, will have to try something like that when I'm done with this one. These are all sooooo cute. 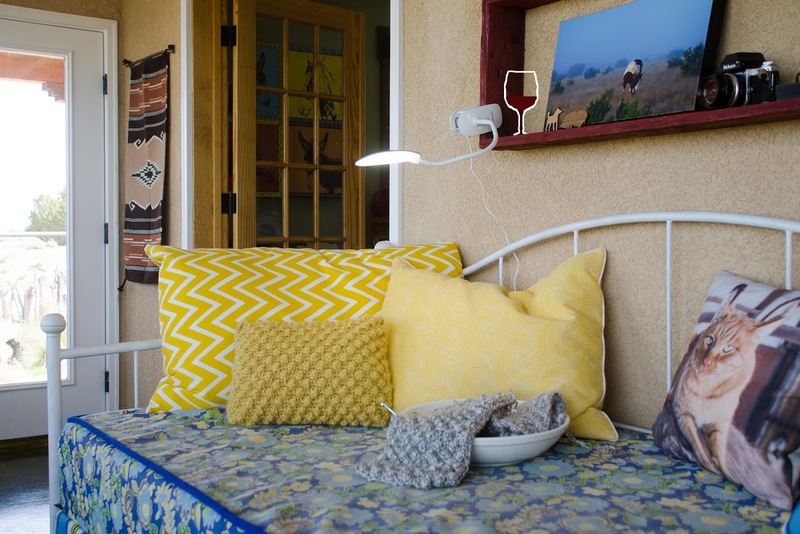 The yellow pillows on your day bed and the ones at Morning Bray Farm are my favs. If the Etsy Shop would mess up your taxes why not sell them to all of us and donate the money to the Donkey Rescue Fund? Minus expenses, of course. Your yarn stash reminds me of my mom....yarn everywhere. She was a knitter and addicted to the click of the needles. I think you need to give us a step by step tutorial on how you do this. Why don't you just let us, your loyal followers, order some? 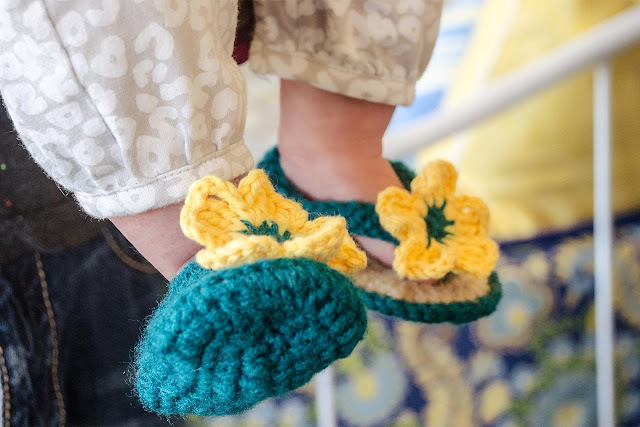 I LOVE the baby flip flops! They are all beautiful, especially the little flip flops! !